Between March 9–16, the Georgia Tech student body will vote on a referendum to approve a mandatory fee of up to $85 per semester to fund a $100 million expansion and renovation of the Student Center. Kate Curnow, the communication and marketing manager at the Georgia Tech Student Center, recently wrote an article on the school website urging students to vote “yes” on the referendum. 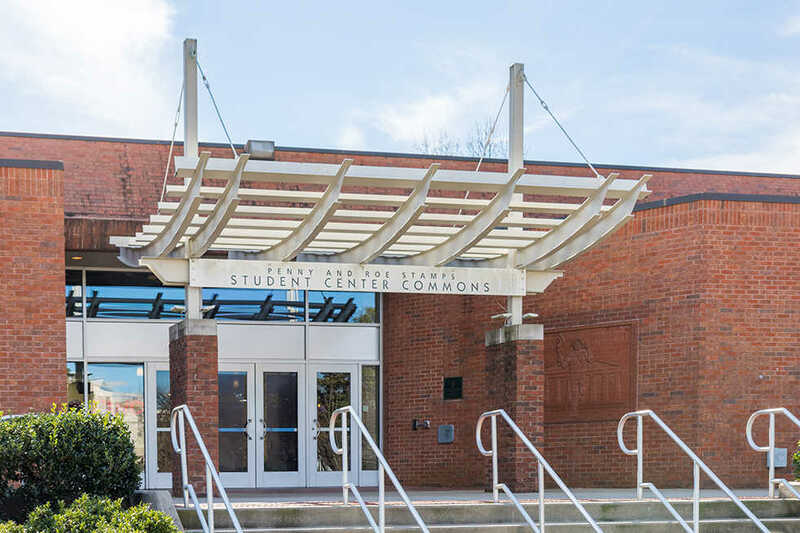 She cited the current Student Center’s low square footage per student and degraded infrastructure as the primary reasons students should approve the new fee. The current Student Center, built in 1970, is by all accounts in dire need of refurbishment. However, it is highly questionable whether such an expensive renovation is necessary. Ms. Curnow correctly states in the article that there is a precedent for students paying at least part of the costs of new non-academic buildings. Whether this is a good precedent is controversial and should be further analyzed. It is clear that students often pay more for these buildings than they agreed upon. For example in 2006, the student body at the University of Georgia approved a referendum to renovate and expand their own Tate Student Center which was built in 1981. Students approved a $25 per semester fee to fund a $58 million expansion that would nearly double the size of the original 100,000 square foot structure. In 2014, students were surprised to discover that the university had quietly re-appropriated an additional $50 per semester from their Recreational Center fee. Under the original agreement this fee was supposed to expire in 2013 when the Recreation Center was paid off; however, payments for the student center will occur through 2038. Ms. Curnow argues that according to a national standard, each student ought to have 10 square feet of student center space. Georgia Tech students currently have 6.5 square feet. Surprisingly, even after the expansion, University of Georgia students make do with just 5.7 square feet. It is debatable whether national standards have any significance when every school has alternative locations where student life can take place. Also overlooked in her statistics is that 30 percent of the 20,000 students on the Atlanta campus are graduate students, many of whom do not have any interest in utilizing the Student Center. This was reflected last semester by poor attendance in an open forum to gauge graduate student interests in the project. Still, graduate students will be expected to pay a large portion of the cost of a building they will scarcely use. According to the project guiding principles, the $100 million renovated Student Center is to become a lighthouse, a “shelter from the Tech elements.” I wonder if a building could ever live up to such a mission statement. Certainly, it is hard to imagine that $441,035 in comfortable seats, benches and ottomans (the amount spent in the Tate renovation) will provide such a shelter. Ms. Curnow also quoted a student who claims that by voting “yes” students “will be able to draw a sense of pride as alumni visiting the new facility, knowing [they] were instrumental in bringing this much-needed change to campus.” It is very difficult to believe that anyone would draw a sense of pride by forcing future students to pay for a grandiose building. Instead, would it not be preferable to preserve the affordability of state universities by showing this expensive renovation plan some much needed scrutiny? A vote “no” on the student center referendum will signal to the Board of Regents that students do not support an extravagant expansion plan. Even a sizable dissenting minority can affect the scale of the renovation project. There is no doubt that in the coming years the Student Center will need to be renovated. Nevertheless, we must decide whether future Tech students would benefit more from a modest building that provides a space where they can grab a bite to eat, or from an expensive building that purports to be a beacon of light that draws the community together. Some students will favor the current plan and some will oppose it, but either way, it is important that you do your own research and vote on this issue in March.